New Delhi: State-owned NTPC Ltd, the country’s largest power generation utility, is in talks with Iran to buy 5 million tonnes per annum (mtpa) of liquefied natural gas (LNG), attempting to secure gas supplies for its fuel-starved projects. As part of the proposed gas supply contract, NTPC has offered to set up a Rs4,000 crore 1,000MW power project in a joint venture, or JV, with Iran and export that power to India through an undersea link to help its JV partner earn revenue. “The Iranian partner for the power project will be a government-owned entity. In the beginning of negotiations, NTPC had proposed a 50:50 joint venture... NTPC is also in talks with National Iranian Gas Export Co. for securing a 5mtpa LNG contract," an Iranian government official said in New Delhi, asking not to be named because he is not authorized to speak to the media. He didn’t disclose other details. R.S. Sharma, chairman and managing director of NTPC, declined to comment. NTPC’s proposal comes as Iran faces more economic sanctions by the US and its allies over its nuclear programme, which Washington suspects is aimed at developing nuclear weapons and Teheran says is designed to produce electric power. India and the US recently reached a historic civilian nuclear deal. NTPC’s total gas requirement is 17 million standard cubic metres per day, or mscmd, but it has been able to source only 10.5mscmd. India imports 3mtpa of gas bought in spot markets, which is sourced by Petronet LNG Ltd (PLL) and Shell India Pvt. 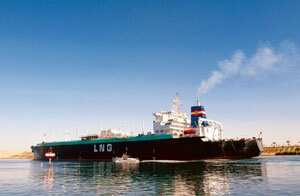 Ltd. LNG is transported in liquid form by ship and needs to be converted into gas before it is used. NTPC has been looking at acquiring or setting up LNG terminals, as reported by Mint on 21 December 2007. “An undersea link for power transmission is an extremely costly proposition and one has to do detailed feasibility study to take a view on it," said a Delhi-based power sector analyst who didn’t wish to be named citing commercial considerations. “However, NTPC is good at putting up power projects. They should set up this power project for Iran’s own domestic consumption and get LNG on a reciprocal basis. This is a good model from the energy security perspective,"
The firm’s plan to source gas from Nigeria for its projects in India has faltered because of delays in finalizing an alliance with a local partner, as reported by Mint on 29 October. According to ministry of petroleum and natural gas estimates, India currently needs 180mscmd of gas, while supplies are around 81mscmd. The ministry has projected that the supply-demand mismatch will persist till 2012. Even as NTPC moves towards the gas deal, infrastructure projects to be developed by Indian companies in Iran have run into trouble. The West Asian nation has threatened to call off talks with Ashok Leyland Project Services Ltd, part of the Hinduja Group, and sign a contract with a Chinese firm to build a rail link in Iran because of differences with the Indian company over project execution. The $7.4 billion Iran-Pakistan-India pipeline project is also expected to fall through, with Iran planning to move ahead with or without India, as reported by Mint on 27 October.